I have to hand it to the Amarillo Sod Poodles baseball organization. 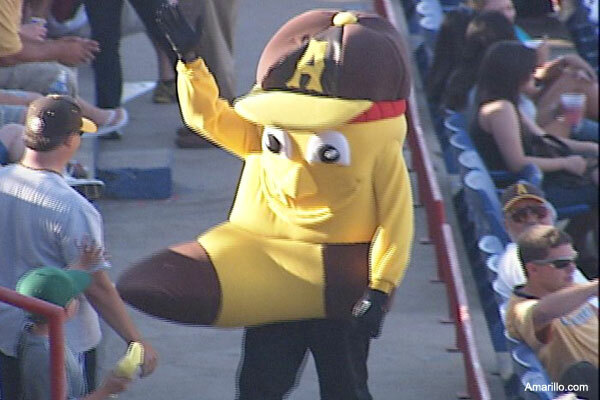 They’ve come up with a mascot for the AA baseball team that seems oh, so very appropriate for what they’ve decided to call the team. The mascot’s name is “Ruckus” and it looks like, well, a “Sod Poodle,” which the community is told is an old-time name for prairie dog. So, Ruckus looks a bit like a prairie dog. Compare “Ruckus” with what the previous baseball organization rolled out about eight years ago. It was meant to symbolize a “Sox.” It looked, well, kinda weird. And perhaps vaguely obscene. So, the Sod Poodles are going to play before a sold out house at Hodgetown on April 8. It’s their home opener in the Texas League. They’re playing in a shiny new ballpark in downtown Amarillo, and not in that rat hole dump at the Tri-State Fairgrounds. At least “Ruckus” looks like what he symbolizes.